Dr. François Caron has a Bachelor's degree in Chemistry (UQAC), a Master`s in Freshwater Sciences (INRS) and a PhD in Geochemistry (McMaster). He joined Atomic Energy of Canada Limited (AECL) in 1991 as a research scientist, where he worked on projects related to nuclear waste management, environmental research, emissions reduction, and reactor chemistry. He was the co-recipient of the AECL Discovery award for understanding the radiocarbon production and emissions, followed by its application in a strategic plan submitted to reactor owners. He joined Laurentian University in 2000 in the Chemistry and Biochemistry department, then the School of the Environment in 2014. He is cross-appointed with Chemistry and Biochemistry, and he is part of the core Faculty of the PhD Program in Materials Science. He is also the Coordinator of the Liberal Science Program (2005 to 2011, 2014, and 2015-now). His teaching and projects are multidisciplinary, revolving around environmental issues. His governance contributions include the development of Radiation Safety (Officer from 2001 to 2011), coordination and reviews of the Liberal Science (2 reviews, 2007, 2016), Vice-Dean of Science and Engineering from 2009 to 2012, and 2014-15. He was also Interim Director of the School of Mines 2011-12. He has been on Senate and served on many curriculum review Committees, in both Official Languages. In is other professional contributions, he was a consulting scientist and academic representative on a high level scientific committee (CRTI), for adjudicating funding and strengthening Canada`s terrorism prevention and public safety (2005-13), plus environmental and nuclear issues (NWMO, 2005; CNSC, 2016, television and radio interviews). He has reviewed several first year chemistry textbooks. 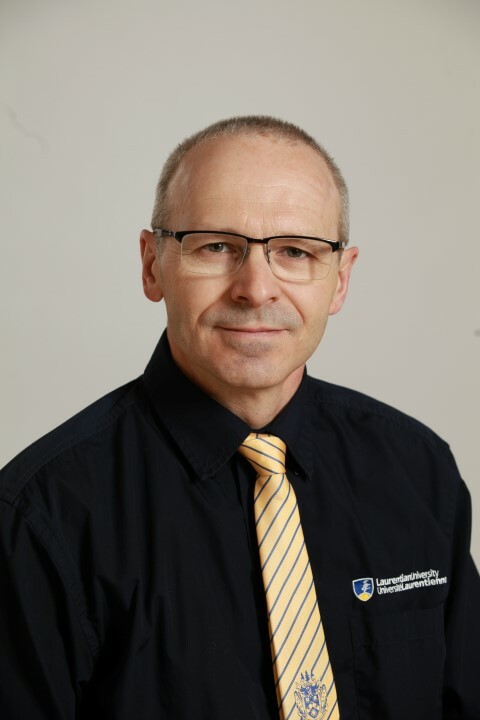 He has taught first year chemistry since 2002, which led to his recognition with the Faculty (2014) and University (2015) Teaching Excellence Awards. He is involved in conferences related to chemical education, the Mining in the Environment series, radiochemistry, including an invitation as guest speaker at the last PACIFICHEM conference in Hawaii (2015). He is currently on Sabbatical (July 1-Dec 31, 2017) to present a poster at the Goldschmidt 2017 conference in Paris, France. His research focus is related to environmental radioactivity and radiochemistry. One major impact is related to the environmental fate of Carbon-14, one of the major contaminants of nuclear reactors. His work has focused on Carbon-14 retention within reactor systems, upon its production, and in post-service (storage). A major contribution was the calculation of the Carbon-14 production from reactors in the nuclear era, and its environmental control. His other area is related to the migration of radioactive contaminants in soils, and their interaction with natural organic matter (NOM). NOM is a silent constituent of all waters, and its environmental role is not well understood. His novel work continues to reveal new properties and impacts of NOM in natural systems, and the relation with the migration of radioactive elements. He is active in his field, with presentations at international conferences (Nuclear and Radiochemistry, NRC-series), and Canadian Institute of Chemistry (environmental radiochemistry). He was the guest editor of a special issue of the high-impact Journal of Environmental Radioactivity (2013-15).